October 24, 2016 By Claire Davidson & filed under Blog, Recipe Roundups. 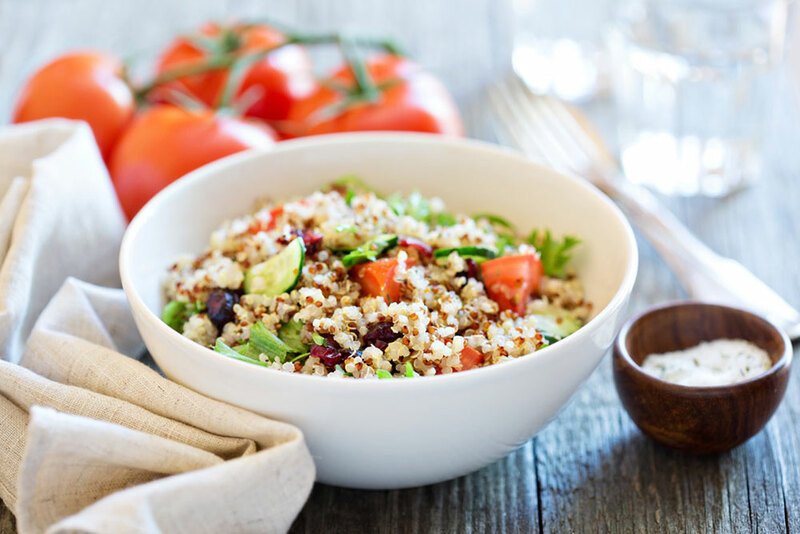 Quinoa is one of the healthiest grains out there—it’s a complete protein, is gluten free, and is one of the few plant foods that have all nine essential amino acids. It’s also high in fiber, magnesium, B-vitamins, iron, and various antioxidants. While there are three main types of quinoa (white, red, and black) they all have the same amazing health benefits. The only difference is that they vary slightly in taste, texture, or cooking time. 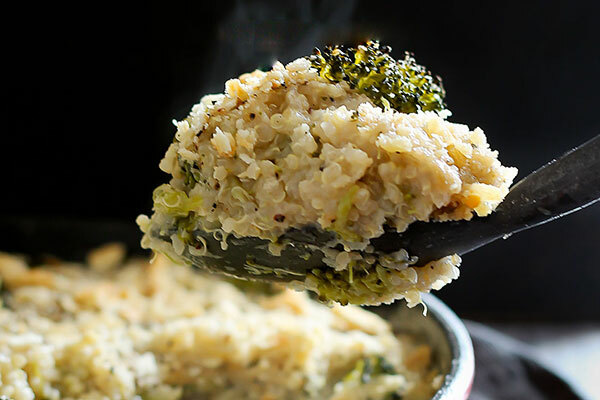 Quinoa can act as a versatile base for casseroles, pancakes, and even pizza—making it a healthy ingredient you can incorporate into any meal of the day. So, now that you’re on board the quinoa train, here are seven of our favorite mouthwatering meals that use the healthy grain! Trust us, even picky eaters will love these healthy quinoa meals; they’re all 100% delicious while still packing that powerful nutritional punch. 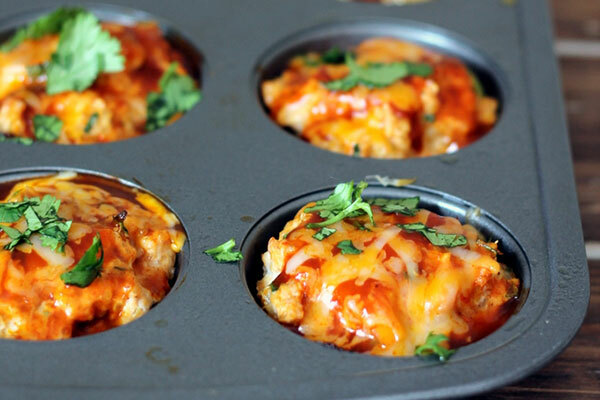 We love anything that incorporates the ease of the muffin tin, and this recipe does just that! These delicious mini-meatloaves are mega-flavorful and packed with protein. The best part? The muffins can easily be reheated for eating later, or as a perfectly-portable lunch later in the week. 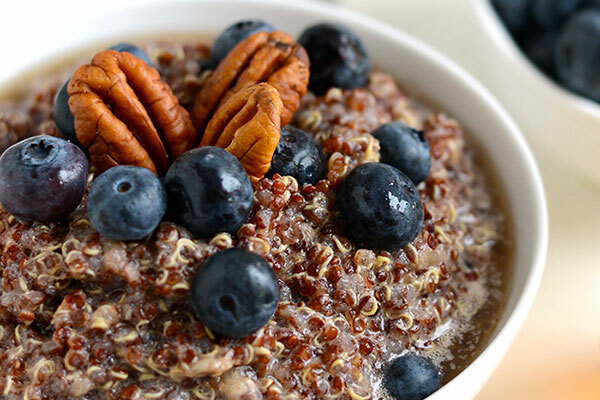 If you’ve found yourself in a breakfast rut, quinoa may be your new best friend. Using it in porridge recipes helps keep you full all morning, and paired with bananas, almond milk, honey, and a little cinnamon, this version is creamy and delicious. Simply precook the quinoa in water and soak it overnight so it’s ready to go when you wake up. This gluten-free recipe is a hit with kids and adults alike! Packed full of cheesy goodness, it still has 12 grams of protein per serving and is the perfect lightened-up comfort food to satisfy those mac and cheese cravings. 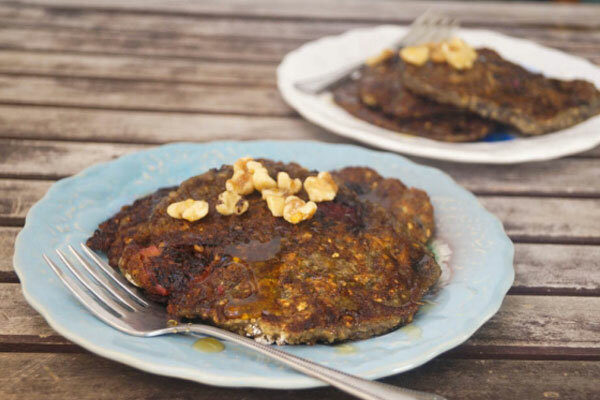 Full of fall flavors, these delicious pumpkin pancakes will keep you full all morning long and are sure to please pumpkin fans. You can even make this recipe as a “breakfast for dinner” meal—there’s never a wrong time for pancakes. 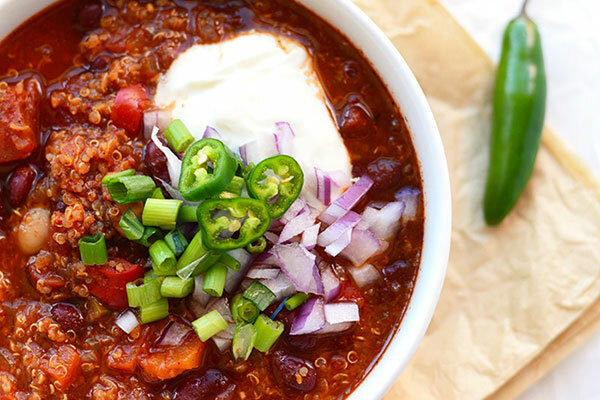 Enjoy this hearty bowl of chili on a cold day when you’re looking for something to fill you up without filling you out. This healthy vegetarian recipe is loaded with flavor and protein, and it takes less than an hour to make. 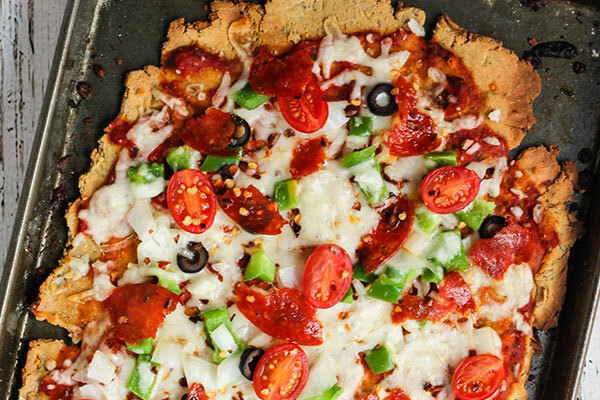 Yes, you can healthify your pizza and eat it too! This cheesy flatbread is perfect topped with the fresh veggies of your choice. Bonus? The gluten-free pizza dough is free of preservatives and gets nice and crispy on the outside but a bit soft in the center. This nutrient-rich dish comes together with just 15 minutes of prep and is a healthy recipe everyone will enjoy! It boasts 40 grams of protein per serving, so serve it up for your next Italian night—it will keep you more satiated than pasta and tastes just as comforting. 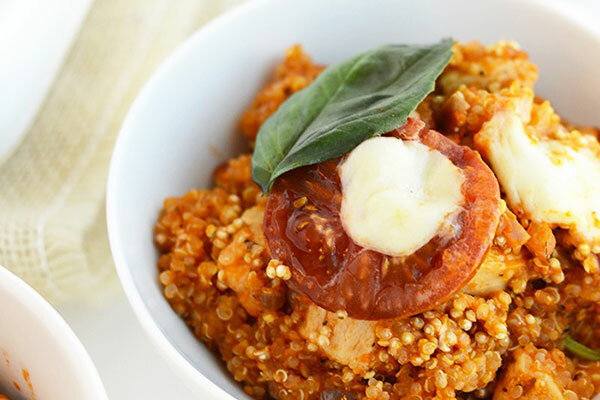 What’s your favorite thing to make with quinoa? Let us know in the comments!